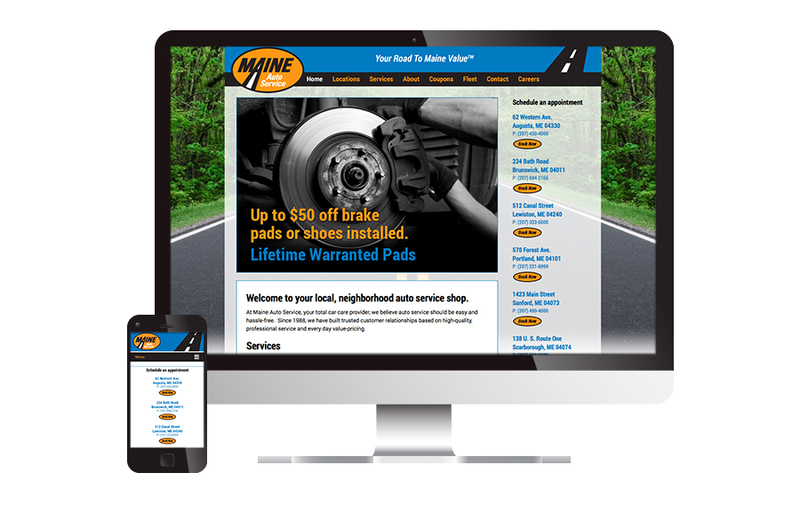 The owners of Maine Auto Service came to Visible Logic for a new identity when they decided to leave the Midas chain to become an independently owned Maine company. Visible Logic worked with them to develop the name, logo, signage, print materials and their website. 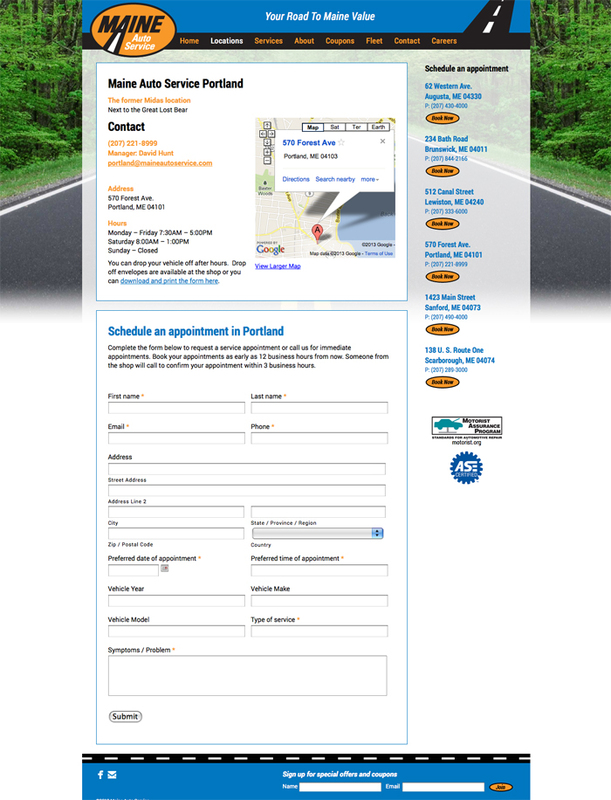 Read more about the process of rebranding from Midas to Maine Auto Service.